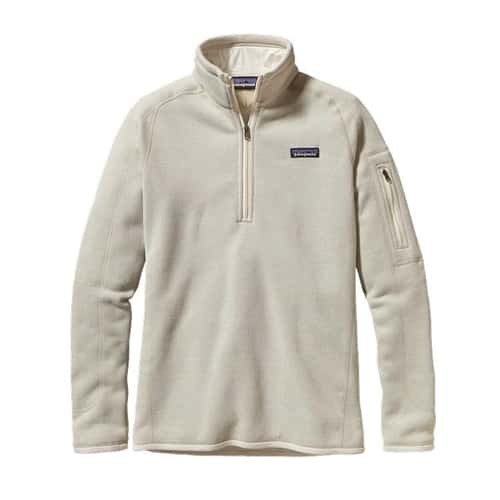 The Better Sweater 1/4 zip is a great piece for when it's really cold outside. It can almost be too hot to wear indoors. I only wear it if it's freezing outside or as a coat on cooler days. The zip is long enough to unzip to let off some heat if need be or to assist in getting it off. I like the zippered pocket on the sleeve.